If you are planning to relocate anywhere in Dallas, Expert City Movers is here to help. From packing to unpacking, loading to unloading, we will take every aspect of your local move on our strong shoulders. We will draft a comprehensive local moving plan for you, insuring that the whole process will flow in a seamless and hassle-free manner. If you are looking to move to another state or city, contact Expert City Movers and leave the details and coordination to us. Our customer services staff will handle all of the hard work so that you can focus on the more impotant issues in your life. 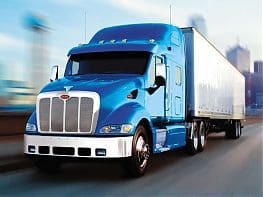 The experience we have in moving Long Distances is what makes us the go to company in Dallas for your relocation needs. Some may choose to handle all the packing themselves, while others want the help of professional moving company. Either way, we can tailor our packing services to fit your timeline, your budget and all of your belongings. At Expert City Movers, we also offer quality and safe storage services. Whether you are moving out for an extended period of time or waiting for your new house to be fully constructed, you can utlize our storage services to insure that your belongings are well taken care of. We will store until you are ready and then bring your belongings straight to your new home. We just used Expert Dallas Movers and had a great experience. Tim, Volodya, and Garri were always moving and got the move done as fast as possible, while taking care of our furniture! Will definitely use them in the future and highly recommend them to anyone look for a reliable company. The entire process was great. They were easy to schedule with, followed up with an e-mail confirmation that clearly outlined what we agreed upon and what we were to expect from them. The two person crew was professional, personable, fast and hardworking. They did an excellent job! Both were careful with our belongings and eager to ensure our satisfaction. We chose Expert Dallas Movers based on their Yelp reviews and they didn't disappoint. Our original Movers (their review to follow!) left us in a lurch and these guys showed up within two hours and did an absolutely stellar job. Top marks for customer service and for performance. Amazing! Cannot say enough great things about these guys. They were on time, which is a huge plus. They were professional, polite, thorough, efficient and helpful. (And not to mention, priced very well.) We moved from a 1,700 sq. ft. house to a 3,000 sq. ft. house and they brought four guys and one huge truck. They took about six hours total -- and that's WITH a stop at my in-law's to pick up a piece of furniture my mother-in-law was gifting us. They were careful with our furniture, wrapping it in a moving version of Saran Wrap, and they also carefully wrapped some things in blankets. They provided us with three huge wardrobe boxes for my husband's suits and my nice dresses. They worked their bodies to the bone moving heavy furniture up and down stairs, and even went so far as to carry our sons' die-cast dump trucks into the garage for us. I don't ever want to move again (ha! ), but if I did, I would use this company again in a heartbeat. Best movers! Professional, friendly, fast! These guys were awesome I will definitely use again. They were on time and worked so carefully and quickly and were everything you could ask for in a moving company. I had two men help me move everything. From second floor to 4th floor apartment. Why Choose Dallas Expert City Movers? A major reason why you should trust us for our impeccable moving services is that we are licensed to serve in Dallas, TX. Furthermore, our services are insured which means that in the even of any unfortunate damages, you would not suffer any losses. Our company excels in both residential and commercial moving services. Whether you want to move large equipment from your office or the small and fragile items from your home, we are the name to trust. Our professionally trained specialize in making comprehensive plans for both residential and commercial moves and executing them in a professional manner. We are able to offer services that are convenient, efficient, and cost effective. We are dedicated and committed to providing our clients with utmost convenience in all the aspects of the moving process. We will handle everything from coordinating to execution so that you wont have to worry about the details. From packing of goods and loading them in the vehicle to unloading and unpacking, it will be our responsibility to take care of everything. At Expert City Movers, highly skilled and experienced movers are at the helm for providing exceptional moving services. They have undergone professional training programs that have further honed their skills. Moreover, we equip them with state of the art tools and equipment for a smooth, effective move. This is one of the major reasons why we are known as one of the best moving company, Dallas. Damages can unfortuantely be common in the moving industry, especially if you hire the wrong moving company. Our company is among the most reliable moving company, Dallas, as attention to detail is one of our top priorities. Hence, we guarantee a damage-free moving process. As stated above, we offer enhanced satisfaction since our services are covered with insurance. Even though our services are among the best, we are still able to competitive rates that will not break your budget. We believe in providing our clients with the best experience; thus, all the services we offer can be utilized at reasonable rates. At Expert City Movers, our main goals are your satisfaction and comfort with the entire moving process. We are one of the most reliable names in the area. We understand that whether you are moving locally from home to home, or moving out of state, the whole process can be a daunting task. Mismanaging the timing and details can add to an already stressful time in your life. If you utilize our services, you can expect a quality moving experience from start to finish. Our team will assist you step by step to insure your complete satisfcation. Relocating is a complicated process. 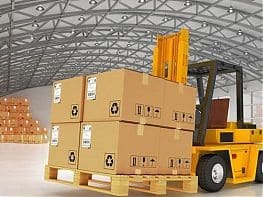 Not handling the goods properly, when packing or loading them can lead to damages or losses. Furthermore, loading of belongings into the vehicle must also be done in a proper manner so that the space could be optimized to prevent additional damages. At Expert City Movers, we have the experience and know how to provie a hassle-free, comfortable move from start to finish. Expert City Movers is known as one of the most trusted Dallas Movers and we have earned this recognition for a reason i.e. our comprehensive moving process. When you contact us for our moving services, whether long-distance or local, our professionally trained and highly-skilled experts will draft an in-depth moving plan keeping in consideration the details of your belongings i.e. their size, fragility etc. Our experts will ensure that this moving plan perfectly fits your requirements and budget. In addition to that, we will also arrange for packing boxes so that the goods can be packed in a professional manner. This will ensure that your valuable goods will not get damaged during the transit and they will be transported to your new address in a safe manner. To get a free quote or if you want more information, feel free to contact us via phone 800-528-1449 or email us at expertcitymoving@gmail.com.